What Is The Cozy Mark IV? Most planes that would fall in the same price category do not come close to matching the numbers of this craft. There's just "some assembly required" with this plane. This is a plane designed for crossing the country but at the same time able to have a wonderful time playing in the sky. The seating is a laid back style that makes the ride very comfortable. What's the drawbacks to this type of aircraft? They are paved runway only planes. Grass and dirt runways are detrimental to this type of craft, especially with a propeller in the back. Runways must be longer than normal because these planes takeoff and land at a faster rate than most. They do require a bit more thought about your approach to landing due to the efficiency of the craft (no cheating yourself down). We decided these were things we could live with, so we're on board! While there are many variations of aircraft on the market, there is probably no greater divide than between canards and conventional aircraft. Canards take a radical departure from standard aircraft designs. Like many things, it comes down to the pros and cons of each design as to which a person picks. So to make things easier, I thought I would point out some of the differences to help people understand the designs better. Canards are efficient from the standpoint of the amount of space they take up and in their overall aerodynamic design. Conventional aircraft require a long tail section in order to balance the weight of the engine out on the front of the plane. This area is relatively unused in order to maintain the proper center of gravity (CG). A canard, however, places the engine very near the main wings, then balances out the other side with people and the rest of the craft. Because of this, canards are considerably shorter which is one reason three can fit in a hanger made for one plane. Aerodynamically, both of the canard's wings are acting in a lifting fashion. Conventional craft must create down force at the tail most of the time to again keep the nose of the plane from dropping. By having two wings, the overall wingspan can be shorter which reduces drag. Canards are able to fly fast because of the reduced drag, but it also means they have to land fast. This is due in part because canards are unable to have a flap system. A balance must be maintained between the main wing and the canard wing and flaps would alter this balance, so the wing maintains a clean profile that's made for faster forms of flight. Though it's not necessarily a problem, the pilot does need to keep in mind takeoff and landing distance as a canard will typically take up more. This is where conventional plans get an advantage. The main wing not only can take advantage of flaps, but it can also use it's full angle of attack. So if all that's available to you are short runways, conventional craft are probably a better choice. With the engine in the back, canards have a greater view of the front without a propeller in the way. It also dampens the noise some since it's not right in your face. This makes for a more comfortable ride. The drawback is that the prop is able to be hit by foreign material since there are tires in front of it that can kick up rocks and other things. There's also a limit to how much rotation you can do before you hit the prop on the ground (known as a prop strike). The rule of thumb is keep the canard below the horizon. Due to the rear engine and the smaller tires, the canard is not really made for non-paved runways. Some have been able to do well maintained grass runways, but it's not ideal. So don't ever expect a canard to be a bush plane. The primary goal for these planes is cross country travel from airport to airport. Typically, a canard has a better glide ratio than most conventional planes. There are exceptions, but when you see what's normally out there these days the canard is a winner. If you ever have an engine out situation you have more options for reaching a particular point. The choice to own a plane isn't one to take lightly. There's a major responsibility in owning a plane and especially flying one. No type of plane is "cheap," but there are things that can help reduce the cost. The experimental market allows some freedoms that certified aircraft owners don't typically have. If you build the plane, you are able to be the official mechanic. So as long as you're comfortable with doing the needed repairs, you can save on a lot of repair costs. 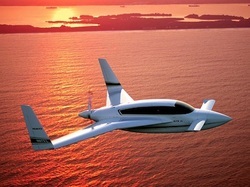 Canard aircraft fly faster on less fuel than most planes which saves on fuel costs and engine time. Parts for experimental craft are less expensive (but still higher than you expect sometimes). The act of building a plane will take a lot of dedication. It's not a weekend project and will take several years to finish. The people that complete their project are people that enjoy the process as much as the finished project. Having family that is supportive and also contributes to the work make it that much more achievable. If the only goal is to own a plane, then buying a completed plane is probably a better idea. The other important thing is to have a realistic goal on the completion of the project. Setting lofty goals can burn a builder out halting the project. So enjoy the process, meet other builders, and get to know what you're really getting into before getting into the project. Can I Build A Plane? The short answer is sure! It's not about having great skills, lots of money, or past experience. It's more having the ambition, determination, and desire to do so. Especially with a plans built plane, you can spend small amounts of money over a long time and still end up with a completed project. So don't let money stop you. Realize that it will take a long time (10+ years if you're really operating on a budget), but you can still have it. As for the skills, the plans do a great job of educating you on what to do. There are also other builders all around that can really give you some insight and help when needed as well (join the Cozy list and the Canard Aircraft list to find others around you). For reference, I had never touched fiberglassing before starting this project. I learned by doing the practice pieces. Since then, I have had others come over and show them how it works. I feel that if you get that initial experience with the material, the unknown is no longer scary and you can move forward. Make sure you have real expectations on the project. If you can only afford $1,000 a year on the project, don't expect to finish in 2 years. Usually, two things will slow your project down: Time and Money. More money you have, the more you can speed up the project (always have materials on hand, prefab parts). The more time available to work will obviously move the project along but only until you run out of material. Also, the more parts you make yourself, the cheaper it'll be. To afford the project, we took a raise that I received at work and set it aside as airplane funds. I could only buy parts that came from this funding. As more raises or bonus money came in, it was deferred to this fund to avoid using the money we were living off of. This worked very well and has so far kept a surplus on hand when supplies were needed. Though be warned, the parts go up in cost the farther along you go. The important thing to keep in mind is that it's not a matter of if you can, but how you will build a plane. There are 1,000s of canard aircraft across the world built by many different people. If you can read and follow directions, you can do it. There's a wonderful support group to help out with questions and many are willing to assist where they can. So what are you waiting for? Come on in! Composites Vs Sheetmetal: What's The Difference? In airplane building, you mostly have two types: Composite and sheetmetal. There are also tube and frame, but in a lot of ways they are a mixture of the two main types. Aluminum sheetmetal planes by far dominate the market. The majority of GA planes are made this way and Vans aircraft, one of the largest kit plane manufacturers, also use this method. It entails using rivets to attach pieces together. There's less sanding involved but it does require a lot of special tools that are not cheap. There's some dangers involved (sharp edges, can't use corded electric tools around it) but otherwise work fine as a build method. Sheetmetal tends to make more sense to people who are more mechanically inclined or do some machining as it's just an extension of that. Composites on the other hand are more akin to wood working. You're taking a bulk material, carving away to get the shape you want, and use adhesives and fasteners to attach things. Composites do require a lot of sanding, but other things go together fairly quick. Each can be just as fast or as slow as the other. It depends more on the individual. Composites, however, have some distinct advantages. For one, the entire surface is supported. Sheetmetal planes are only supported where ribs are located. Drop something on the unsupported area you're going to have a bad day. On a composite, depending on the object, it might do nothing to maybe a delamination that can be fixed in a couple of days. This has to do with a solid foam core along the entire length of the piece. This keeps it nice and strong anywhere on the layup. You can also get perfect contours making for more efficient air flow with less drag. Composites also have a natural sound dampening effect making the interior a little quieter (still need headphones though). Obviously, either construction practice works fine and comes down to either personal preference or which design suites your needs. What Is A Plans Built Plane? Plans built means that you do not buy a kit with pre-made parts. You buy a book of plans and you get raw materials to actually build the craft. The advantage of this is that you are not reliant on a single supplier to stay in business and you will come out cheaper than a kit. The materials are readily available from multiple sources. A kit plan can be put together faster, especially if a quick-build option is paid for, but the amount you spend on the kit will just about finish an entire Cozy and you would still have to buy supplies to finish the kit. It comes down to how you feel about the build process, how much money you're willing to invest, and how much time are willing to set aside. You can build the entire craft and save money or you can spend more and probably be done sooner. A plans built plane offers more options for customization (not always a good thing) than a kit might offer. Why The Name Cozy Serenity? My wife is a big Firefly fan. I told her that we could name the plane after the ship on the show, Serenity. She loved the idea, so here we are. It works for me as it's a great name to have for the plane and fans of the show will love the idea. It also works since the engine is in the back. Why Did We Choose The Cozy? I've always been a do-it-yourself type person. I've build several items including a home theater projector and speakers and custom doors and entertainment centers. A plane will be one of the biggest undertakings that I've ever done, but it's one that I welcome the most. I've been a hang glider pilot for over 10 years and have always wanted a plane. We have family in various states and the cost of airline travel is high now that there are three of us with the possibility of a fourth. The Mark IV will allow us to have a plane that can actually seat four people with luggage and get us places on our schedule rather than when tickets are cheaper. Most Cessna aircraft pale in all these things. Plus, I like the idea of having something that's very unique looking and much more modern. As for why the Mark IV won over other canards has to do with the utility aspect of the plane and the wonderful support group. We needed something that could carry 4 people and a reasonable amount of luggage and we could have for a modest budget. We'll be using it to travel across the country to see friends, family, and take vacations. This plane has the speed and the economy and capacity to accomplish this within our budget. Everywhere we want to go has a paved runway, so no problems there. All in all, it was the perfect fit for us. Did I mention that my hang glider is also a Mark IV? If you're in the market for a build-yourself aircraft, you will mostly come across kits planes. Kit planes start out as a shipment of frame parts that the builder then assembles. Depending on the kit, it may be a bolt together project with minimal machining or one that has some parts creation. Plans built planes start out as simply a set of plans that the builder then uses to make every part from using raw materials. Both have their pros and cons. The biggest pro of a kit plane is time. Kits generally come together faster than plans built because you are not required to create the parts, but rather assemble them. Quickbuild options help even more as the FAA considers you the builder as long as you've done 51% of the construction. Quickbuilds will do 49% and leave the rest to you. The one drawback is that you are reliant on the kit builder staying in business to provide parts. There are some where this doesn't appear to be a problem, but others have had this happen to them. While building faster is a nice thing, it comes at a price, a very hefty one usually. They usually require a large sum of money in the beginning and only increases from there. Plans built aircraft, however, give you a set of plans that allow you to buy readily available materials as you go. No major upfront cost. No reliance on a vendor to stay in business (at least for most of the plane). It will take more time though since the craft is completely built from scratch. Plans built aircraft will generally come out considerably cheaper depending on how you outfit it. Most kit planes will cost $50,000 just for the initial kit. You could have a fully built plans plane for the same money. You just have to decide which is more important: time or money. Vans RV series of craft appear to be dominating the kit market right now with the availability of several two seater versions with aerobatic capability, a single 4 seater, and now a light sport version. Vans aircraft follow traditional aircraft construction using aluminum and rivets. They are well built and wonderful machines. The RV-10, their only 4-seater craft, has similar numbers to the Cozy, but since it must use the O-540 engine it's fuel burn tends to be higher for the same speed. It does, however, have shorter take offs and better unpaved runway access than the Cozy. I thought about one of these, but it seems difficult to build one for less than $100,000. If you need unpaved runway access or shorter field access, this will probably be a better fit. Velocity is another big kit manufacturer which makes canard style aircraft using fiberglass composite material. These are similar to the Cozy, but evolved from a different design. They tend to have a roomier interior and they have doors for getting in rather than a canopy. The design doesn't require the plane to park on the nose when no one is in plane as the Cozy does. 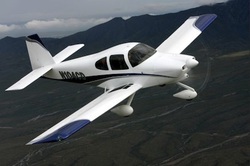 I thought about this plane for a long time before I knew about the Cozy, but again like the RV-10 these get expensive to build. They are still a very decent plane and one wouldn't go wrong building it. It does lack in some of the great visibility that the Cozy has and isn't as fast due to the roomier interior. They do have a five seat version as long as the back passengers are fairly fit and don't mind being close, so this could give someone an option when four isn't enough. Experimental aircraft, especially plans built planes, open themselves to modifications by the builder due to the very nature of process. There's debates on what, if any, modifications should be done. There are very minor ones that involve internal parts that do not provide structure such as armrests to major modifications such as widening an entire fuselage. When it comes to structural mods, the risk that the builder is taking is making the change most of the time on faith that it will be fine without any real testing or engineering. It's a double edge sword because these changes can have disastrous effects but some pave the way to a real improvement that would not have otherwise been discovered. The Cozy was in a sense a modification of the long EZ, but Nat Puffer did the engineering to make it successful (thank you Nat for creating this wonderful plane!). So it's up to the individual builder to decide if they're going to mod or not, but hopefully it's based on proven changes or at the very least some amount of testing. Is The Cozy Right For You? I've had a few people ask me about the Cozy and whether it was a good fit for them. I came up with a thought process that can help in the decision on what to pursue. What type of flying are you interested in doing. If long distance trips are the norm, then a Cozy is perfect. Local jaunts around can be done, but if that's all that is planned then a light sport might be a better alternative. What kind of runways are available to you? The Cozy needs long runways and they need to be paved. If these aren't available, then a conventional plane is a better choice. If you're going to build, are you building for the sake of learning the construction process or do you just want a plane? The build is a huge commitment and it's easy to get bogged down by the immense amount of work. You need to want to do the build as well as looking towards the goal of finishing. If you want to build, but want a smaller time commitment, then a kit plane will likely be a better alternative, though it will cost more to complete. If these things aren't an issue, this plane will be one of the fastest for the least amount of fuel usage and the least expensive and comfortable that you will find.